Now more than ever it is important to watch out and avoid being scammed by an out of town contractor! If your home in Texas has an outdoor kitchen, chances are that it has sustained heavy damage due to the recent flooding. The repairs can be expensive and time-consuming and if proper precaution wasn’t taken, the floor, cabinets, counter-tops — everything could be damaged. You may be tempted to hire a kitchen contractor who may have approached you to rebuild your outdoor kitchen for a very decent price but beware — “disasters can bring out unscrupulous contractors that prey on disaster victims,” according to the Insurance Information Institute (I.I.I.). After a huge disaster like Hurricane Harvey, door-to-door contractors typically offer their services in neighborhoods that have witnessed damage. 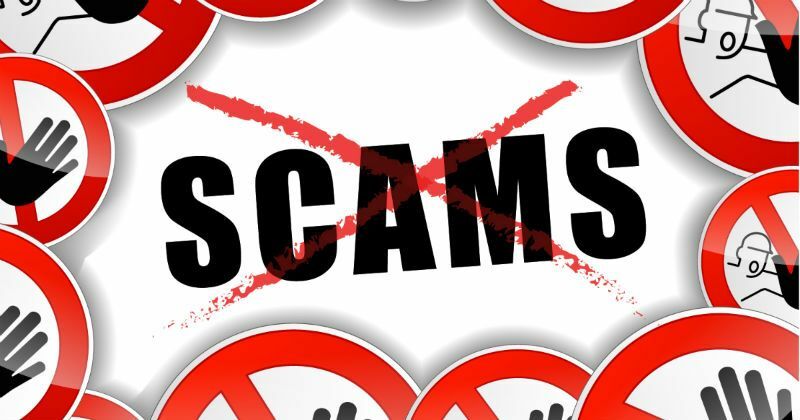 Some of them may be genuine but most are frauds and scam artists out “to make money from the misfortunes of other people”, warns the Better Business Bureau (BBB). Here are some things you should keep in mind to avoid getting scammed by fraudsters posing as contractors. Make it a point to check the personal identification as well as contractor license of every contractor that comes to your doorstep, offering his services. You should also ask to see their workers’ compensation insurance as well as proof of liability. A common scheme of conmen is to convince homeowners to make a huge deposit before starting work. Do not make a big initial payment, because most likely you won’t see that money again. Some of these so-called ‘contractors’ may finish the job but it will be of substandard quality. This is why it’s safest to pay only when the work is complete and to your satisfaction. Before hiring any outdoor kitchen contractor, you should make sure to draw up a contract. The contract should clearly spell out the specifics about the job, what work you want done, how you want it to be done, the completion date, etc. Another great way to avoid being scammed is to ask for references and select from the contractors who have a good reputation in the community. Any contractor approaching you to fix your outdoor kitchen should have a solid portfolio of their past projects. This will give you an idea of their workmanship and style. They should also be able to provide you with at least three references of their previous clients. You can talk to them to know about their experiences with the contractor and how their kitchen has held up. Before signing on a contractor for your outdoor kitchen repair, you should also ask for before/after photos of flooded or damaged kitchens they have repaired earlier. Genuine contractors will be happy to share them with you. A good contractor always listens to their customers. They will want to spend time to discuss your preferences, budget and design issues. Because restoring an outdoor kitchen involves a lot of customization, a kitchen contractor needs to be patient, responsive and ask questions to make sure everyone is on the same page. If a contractor looks like he is in a hurry, he is probably in a hurry to make easy money off you. When fixing your flood-damaged outdoor kitchen, don’t be rushed into making a decision and hiring contractors who may have offered exciting deals. Avoid being scammed & take your time and do your research thoroughly on each contractor who has approached you – ask to see their portfolio, and ask for quotes from all of them, then make an informed selection.